Hierro steps down as Spain coach - SWANKYLOADED OFFICIAL BLOG. Fernando Hierro, who led Spain at the 2018 World Cup, has stepped down as coach and will not return to his former role as sporting director. 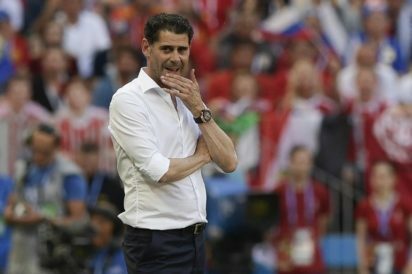 Hierro was placed in temporary charge of the team after Julen Lopetegui was sacked on the eve of the tournament. However, the 2010 world champions were knocked out on penalties by hosts Russia in the last 16. Hierro, 50, has decided to “seek new horizons”, according to the Spanish football federation (RFEF). A statement said the former Real Madrid player had “declined” to return to his previous role and has opted to “undertake new professional challenges”.